With the Sure Switch directional control you can operate yourvehicle’s peripheral driving functions at the touch of a button! 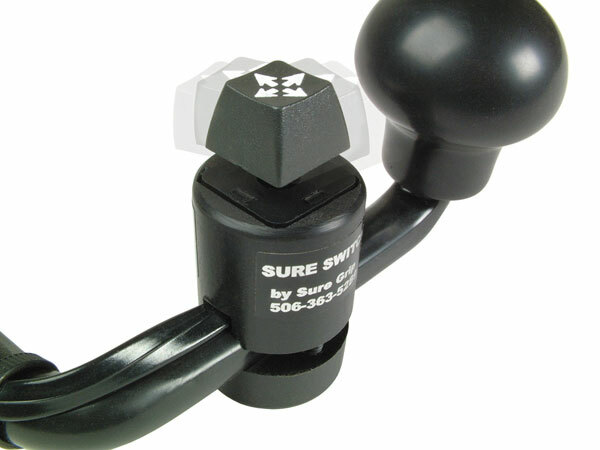 Designed to complement the Sure Grip Hand Control, the Sure Switch allows you to control the following functions with just the tip of your finger. The C-Tech MemoryShift is a programmable electronic push-button shifter that delivers true, accurate shifts every time. The MemoryShift can be installed on just about any automatic transmission vehicle made. Compact control panel allows for more choices in mounting. CCI designed the Electric Parking Brake push button control to set the parking brake with ease. With a unique increasing torque feature and compact design allowing for easy installation. The EBP works on most vehicles with ABS brakes. LogiTouch™ is ideal for drivers who are looking for ease in operating a vehicle’s secondary controls (switches). LogiTouch adds a new dimension to adaptive driving by putting up to 18 function control switches at your fingertips. The National Mobility Equipment Driving Association (NMEDA) recommendations were an important factor in its design to ensure the highest level of quality and functionality. The Crescent Industries Spinner Knob includes six functions. Our Lighted Consoles, like all of our products, can be used to control any function the client needs. These are custom made and the placement of the switches and size of the console can be customized as well. Standard factory power brakes require 20 foot-pounds of pressure to operate. Drive-Master’s low-effort modification reduces the required pressure to 11 foot-pounds. The no-effort modification reduces the required pressure to 7 foot-pounds (these statistics will vary slightly depending upon model or car or van). Provides emergency power assisted braking if power brake system fails due to engine failure or low vacuum. Test circuit is included so backup system can be periodically checked by customer. Audio and visual alarms alert driver to power brake system failure. Automatically activated if engine vacuum drops below a satisfactory operating level. Fits all American vans and most full or mid-sized cars. Does not require low or no-effort braking.